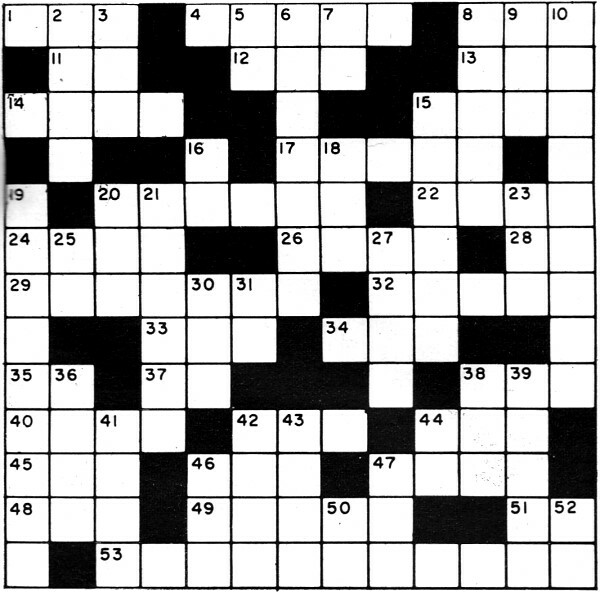 Fellow cruciverbalists, here from a 1963 edition of Electronics World is an electronics-themed crossword puzzle for your end-of-the week enjoyment. You can click on the grid for a larger, printable, write-on-able paper version. 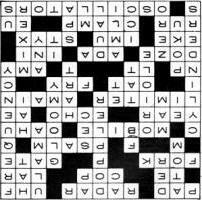 If you are an avid worker of crosswords and don't already know it, I have created hundreds over the last decade+. 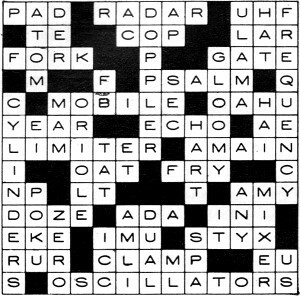 Unlike this crossword from Electronics World (and most others for that matter), my puzzles have only hand-picked words related to engineering and science. By Luther A. Gotwald, Jr.
4. Device used to detect unseen objects. 12. Likely to use radar. 14. Used in calibrating in the field. 15. Circuit employed in most computers. 20. Many radar units are this. 22. Southernmost U.S. land mass. 29. 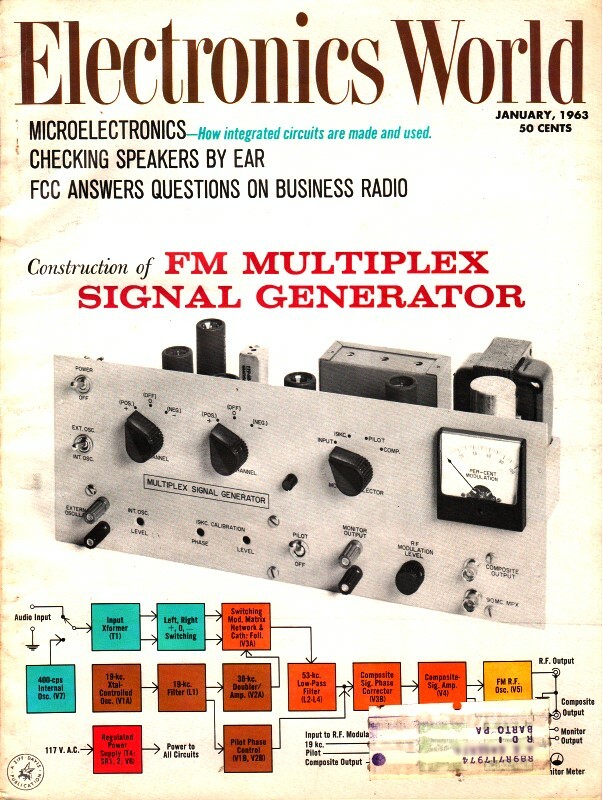 Tube that reduces the effect of amplitude modulation. 33. A grain of cereal grass. 35. Local official servant (abbr.). 38.One of the "Little Women." 44. Order of animals (suffix). 45. To contrive by various make-shifts. 48. Capek's play about robots. 49. Circuit which blocks low-level extraneous signals. 53. Circuits where lighthouse tubes are used. 6. Effect utilized by radar. 7. One of the press associations (abbr.) . 8. Body of Moslem scholars (Arabic spelling). 10. It's usually given in cycles-per-second. 16. One of the backfield (abbr.). 18. Unit of time (abbr.). 19. Grid mounting on lighthouse tubes. 20. Indian of the Mayan tribe. 25. Region in Southeast Asia (abbr.). 27. The male red deer. 42. East Indian tanning tree. 43. Consisting of two parts. 46. A Federal agency (abbr.). 50. Unit of measure (abbr.). 52. You and me.